Karen Scott is a Professor in law, having formerly lectured at the University of Nottingham in the UK. She researches and teaches in the areas of public international law, international environmental law, the law of the sea and Antarctic Law and Policy. She has published widely in these areas in journals such as the Michigan Journal of International Law, the International and Comparative Law Quarterly, the Yearbook of International Environmental Law and the Melbourne Journal of International Law. She is the co-editor (with Alan D. Hemmings and Donald R. Rothwell) of Antarctic Security in the Twenty-first Century: Legal and Policy Perspectives (Routledge, 2012) and also co-ditor (with Donald R. Rothwell, Alex Oude Elferink, and Tim Stephens) of the Oxford Handbook on the Law of the Sea (Oxford, OUP, 2015). Recent and current research projects comprise: science and security in Antarctica; maritime safety in the Southern Ocean; the fragmentation of international environmental law; the regulation of geo-engineering; marine protected areas on the high seas; and justice and legitimacy within the Antarctic Treaty System. 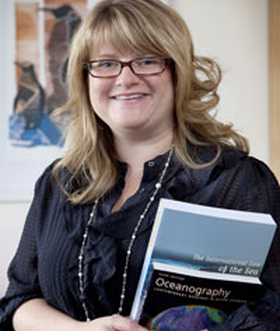 Karen is also engaged in a major research project on oceans governance in New Zealand, funded by the New Zealand Law Foundation. Until 2013 Karen was the Editor of the New Zealand Yearbook of International Law. She is currently a member of the Advisory Board for Gateway Antarctica (based at the University of Canterbury) and Vice-President of the Australian and New Zealand Society of International Law (ANZSIL).